From cycling champions to celebrity advocates, women are doing more for cycling than ever before. Here are some of the strongest personas in women’s cycling in 2018. Having been a former national cyclocross champion no less than three times, and as a British cross-country mountain bike veteran, Isla Rowntree knows a lot about bike-handling. But it’s as the creator of her own line of children’s bicycles – Islabikes – inspiring a new generation to adopt skills early, that she has made her greatest impact. 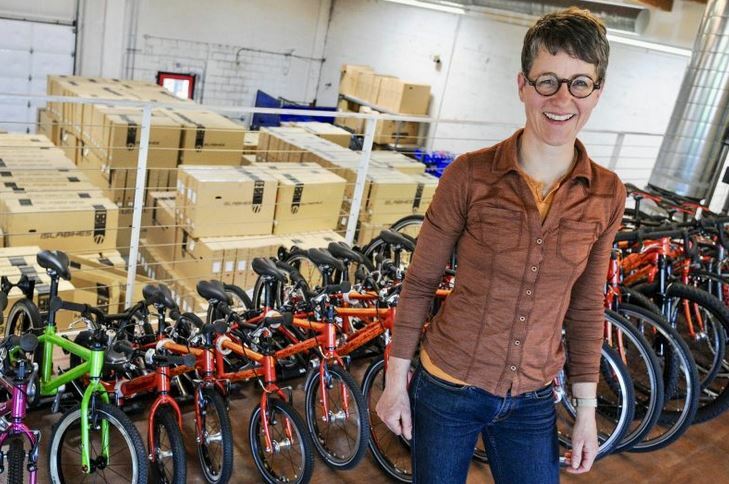 With a reputation for producing children’s bikes with a modern, adult specification – paying specific attention to child development and bike-fitting – she’s led the way in ensuring the next wave of Bradley Wiggins and Victoria Pendletons. Some cyclists make their way into the public consciousness while others are better known by those who are true advocates of the sport alone. Davina McCall is the much loved TV presenter, perhaps best known for Big Brother, who took cycling up in her 40s and has completed a number of impressive cycling challenges, urging others to take to the saddle in the process. Today she campaigns for increased opportunities for women cyclists, runs her own annual Sussex ride for the charity Action Medical Research for Children, and is credited with popularising the sport amongst a whole new “Mumsnet” audience. Perhaps better known as Laura Trott, this woman is perhaps one of most inspirational British female cyclists riding today. Quietly opinionated, she has overcome personal adversity to reach her champion status. Born with a collapsed lung, she suffers from asthma — but her persistence and determination to succeed was rewarded with two gold medals at London 2012 and another double gold medal display in Rio. She has also been an outspoken advocate of the #LikeAGirl campaign – a move to encourage more young girls to stick to sports during school. A titan of inspiration across the board, Claire Lomas first came into public consciousness after she walked the London Marathon in a robotic suit in 2012, five years after a horse riding accident left her paralysed from the chest down, Claire Lomas has since cycled around the UK, learned to ski, got married and had two children. 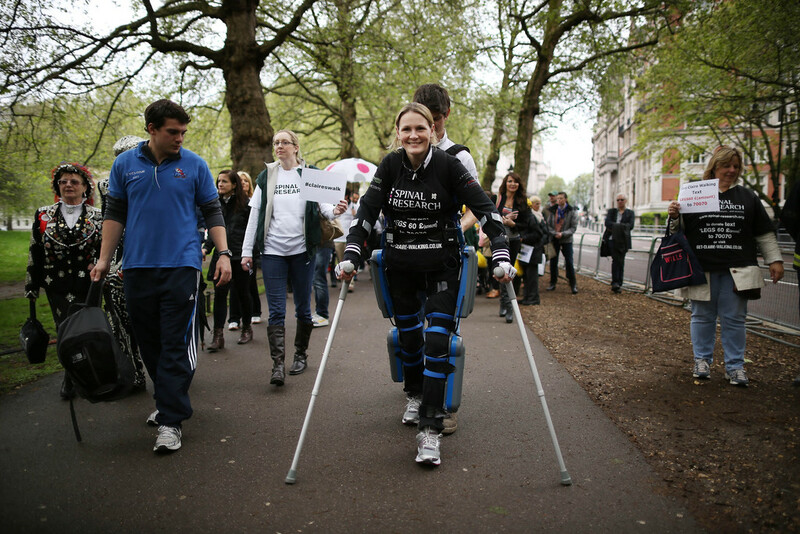 That initial walk took her 17 days and since then she has reached new heights, challenging herself to physical tests, fundraising for research into spinal injuries and inspiring people around the world as she tells her story. The term “superwoman” doesn’t even cut it with Claire and when she took to her bike with electronic pads on her legs to make them move, she continued to show her unwavering determination. In 2012, a British-German ultra-endurance cyclist and writer Juliana set the Guinness World Record as the fastest woman to circumnavigate the globe by bike, riding over 18,000 miles in a total time of 152 days. Even more impressive, she only learnt to cycle three months prior to departure. She is also a bestselling author, with an interesting personal history, and among her other challenges she took part in Race Across America that is documented in the film Inspired to Ride. In 2016, Lizzie was the all-conquering force in women’s cycling, winning the Women’s Le Tour, multiple classics, and the World Championships. Since then, she has sadly been pipped to the post by others on the scene, but which gave her even more hunger to succeed. In 2018, she has something to prove and we can’t wait to see what she does with the peloton this year to restate her case. A Dutch road racing cyclist, who rides for Mitchelton–Scott, Annemiek van Vleuten has won numerous awards including the women’s time trial at the 2017 UCI Road World Championships in Bergen. In 2016, friends feared for her life when she smashed headfirst into the pavement during a downhill stretch of the women’s road race at the Rio Olympics. However, despite having sustained a concussion and breaking three vertebrae in her back, she vowed to come back and win. She’s determined and we can’t wait to see what she does in 2020!